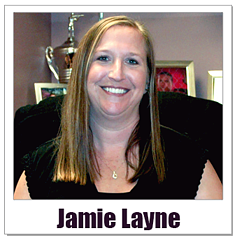 Since she was 12 years old, Jamie Layne has worked in every department of the family business. This prepared her for taking over as President of Victory Layne Chevrolet in Fort Myers when her dad Ronnie passed away in 2009. It was during her time in charge of the dealership's marketing department that she learned what makes advertising successful for a Southwest Florida small business owner. "I was taught," says Ms. Layne, "that the key to advertising is frequency...frequency...frequency. The more people hear your commercials, the better." 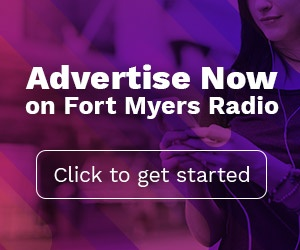 "Of all the media we have used over the years," she continues, "advertising on Fort Myers radio helps us reach the most people and gives the best frequency." "We used to advertise a lot on local TV, but now we depend mostly on radio to keep our name top of mind among car buyers," Ms. Layne says. "I believe being heard is the same as being seen. So, I don't need to pay the premium prices that local television charges." "For instance," she continues, "for the cost of one TV ad in the Superbowl, I could take over a whole radio station for a week. I have always believed in radio advertising." Last year, consumers in Southwest Florida spent $1.8 billion on cars and trucks. This is more than was spent on anything else including groceries, clothing, furniture, and restaurants. To be precise, automotive spending accounts for 21% of all retail spending in Collier and Lee counties. Ms. Layne's belief in radio advertising's ability to help capture a larger share of automotive spending is supported by strong market research. 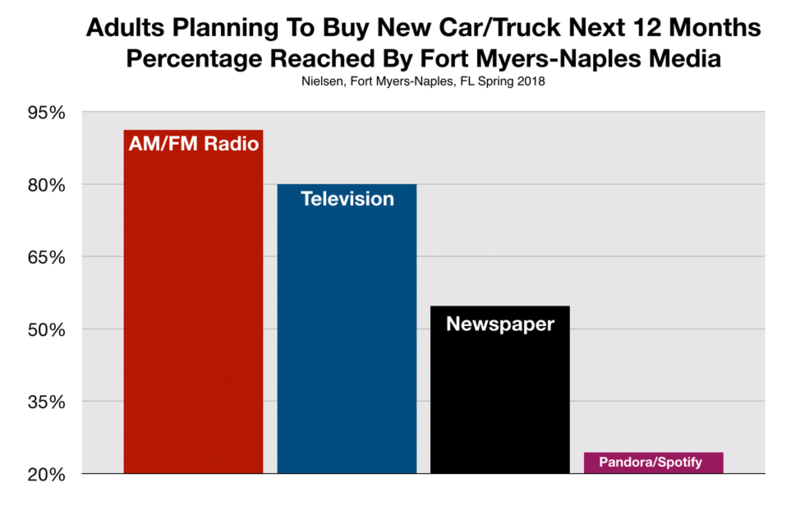 According to Nielsen, significantly more car buyers in Southwest Florida are reached by advertising on Fort Myers radio than by TV, newspapers, or streaming audio services like Pandora and Spotify. Ms. Layne can prove that advertising on Fort Myers radio has worked for her dealership. "A few years ago," says Ms. Layne, "we added a jingle to our radio commercials. It went something like this: 'Victory Layne Chevrolet/That's L-A-Y-N-E'. It was very catchy." "I knew it was effective because shortly after it started, I was summoned for jury duty. When the prosecutor saw my name and it was spelled L-A-Y-N-E, he stopped what he was doing and said in front of everyone in court that his young daughter sang the jingle all the time. 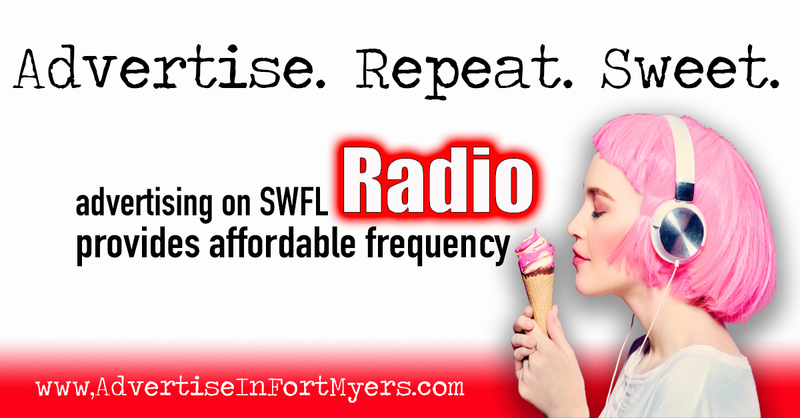 I knew then, as I suspected, advertising on Fort Myers radio really, really works. Three years ago, Ms. Layne introduced a fictional character named Marty into her radio commercials. "Marty," she explains, " represents a cranky old sales guy at another dealership. I can't tell you how many people repeat back to me each month what Marty had to say." Ms. Layne credits the success of the Marty commercials on three factors. "Number one," she says, "is the Marty ads are not like other car dealership ads. They are not about price...price...price. They tell a story that engages listeners who can't wait to hear what Marty will say next." "Second," she says, "I buy enough frequency on the radio that people can't help but remember the commercials." "Finally," says Ms. Layne, "radio provides theater of the mind. Most people don't know this, but the part of Marty is played by the same person who is the announcer in the commercial. But, they sound like two different people. You can't do that on TV."